Demo Free 90-day Trial sign up! Simple for administrators and users to use. Measure the results of your training program. Creative Logic Solutions, the software company behind the eTrainCenter LMS platform, gives small and medium-sized businesses a better way to create, centralize and distribute their online learning, track performance and grow their business. As a global LMS platform, eTrainCenter empowers businesses and learning companies with the tools necessary to quickly, easily and affordably build and manage their company’s learning initiative’s, track performance and grow their business through a scalable, flexible high-performance learning platform. 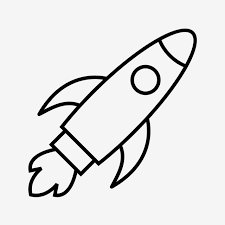 Our on-boarding process is fast and easy enabling you to launch your online training center in days, not months. The intuitive interface eliminates the need for extensive administrator and user training. Our easy-to-use tools, robust reporting and system integration features enable you to efficiently manage training, monitor performance and ensure compliance of your workforce. Our platform is hosted on AWS, providing exceptional performance to end-users all around the world. Start your company’s online learning program. A robust platform to deliver training, track performance & ensure compliance. Start your online training business. A turnkey solution to turn your training content into a profit center. Giving small and medium-sized businesses a better way to create, centralize and distribute their online learning, track performance and grow their business. We help businesses build their online learning courses, expand their reach and grow their business. 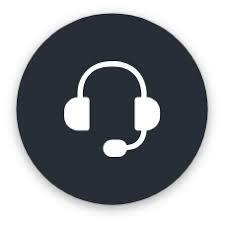 Our customers feel confident that they’ve got the best customer support in the business and there is always someone to help them when needed. Simple, user-centric tools, robust reporting and system integration features enable you to design and deliver training courses, manage enrollments and keep track of progress and performance. Easily create online surveys and assessments for online courses and classroom-led courses. Our multi-purpose and scalable platform meets the needs of administrators, content developers, and users. Whether you need to reach users in one office or around the world, our reliable, scalable, secure platform provides an exceptional experience for all users. eTrainCenter’s scalable learning management systems (LMS) allows businesses to manage, organize and deliver online content with its web-based elearner solutions, managed through an administrator function. eTrainCenter allows institutions and businesses to create their own online course content, which can be created using the eTrainCenter SiteBuilder authoring tools. These authoring tools allows you to upload and organize your content. 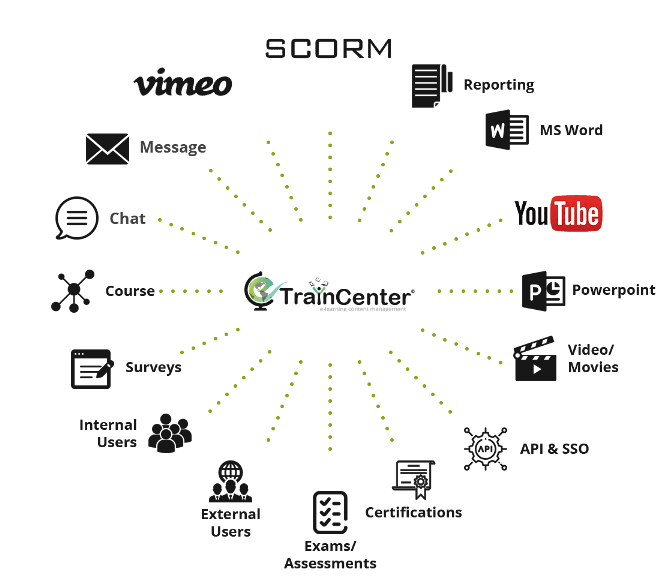 With eTrainCenter LCMS Solutions, you can create online assessments for online courses and classroom-led courses. 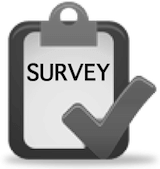 With eTrainCenter LCMS Solutions, you can create online surveys. Surveys are important way to get student feedback. Create original content or reuse content using any type of multimedia element. With access to thousands of learning courses, easily deploy comprehensive training programs by combining company specific content and standard professional courses. No complicated contracts - Buy only what you need. With additional support for SCORM, the industry standards in content interoperability, the experience you can offer is limited by your imagination only. eTrainCenter provides access to thousands of elearning courses in numerous categories. It is easy to research sellers, read reviews, and preview courses. are no complicated contracts. Once you’ve made a purchase, load your course directly to eTrainCenter. Contact us today: If you have a question or have a custom request, we are happy to provide technical support that caters to your needs. We offer online support or feel free to contact us by phone. "The eTrainCenter system offers our faculty a versatile platform that is more user-friendly than others we have used"
"Creative Logic Solutions has help take our online program to the next level. The CLS team has worked with us to create an online learning solution that fits the needs of our customer, content developers, and program administrators. After searching for a solution for a long time, we found that the eTrainCenter LMS and LCMS is the perfect fit." "Our corporate customers and content developer find it easy to use, yet powerful. The students enjoy the collaboration and effectiveness the system provides them. With the Creative Logic Solutions team and the eTrainCenter leading the way, our organization’s online learning growth potential looks very bright for many years to come." "eTrainCenter's flexibility and reliability allows us to create online courses in days, not months. As a result, STI can reach more customers who cannot leave work to attend instructor-led training." "The reporting options give us the data we need, and it's quite intuitive. Once I became familiar with the interface, it was very easy to create and edit exam questions. The types of exam questions meet our needs, and I like having the ability to have several different types of questions in the same section. 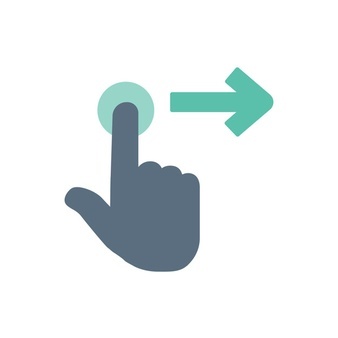 We use single sign-on, which makes the user experience easier. " "What we appreciate the most is the responsiveness of CSR. He has been open to feedback and accommodating our requests for enhancements whenever feasible. He frequently checks in and has been proactive in reporting user interface upgrades or system outages. We have launched only the exam feature to our users, and it is quite easy to use. " "It is easy to use and meets all of our business needs, as well as provides some additional nice features. The response from the support team is exceptional! While we don't have many issues or need much support, when we do, we receive immediate attention." "We use eTrainCenter to host and deliver our custom build eLearning courses. We also use eTrainCenter for certification testing. We have a very large, international customer base and the tools works great, allowing us to provide limited access and administrations rights to those who may need them."